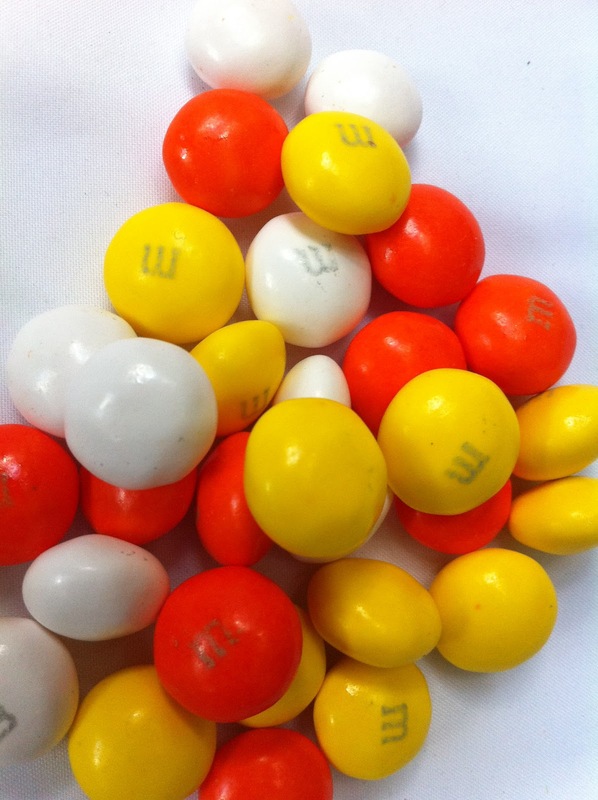 Candy Corn White Chocolate M& Ms. ‘Nuff Said. We take a slight detour from our exploration of my bag of candy from Indianapolis to check out some fall candy delicacies. Today, we explore a twist on the ever delightful candy corn. 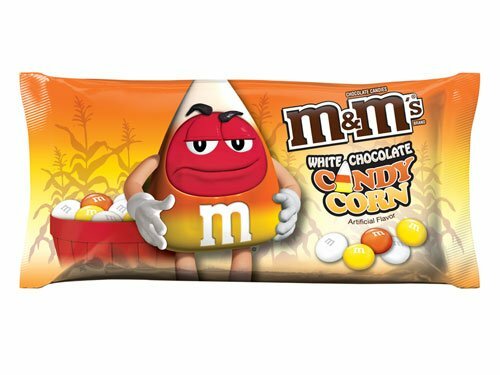 We’ve visited candy corn in the past, so I am welcoming a new twist into the fold. So, first off, I have some saddish news. In the rush to get iOS 7 on my phone, I imported all the photos on my phone to my computer and then deleted them off my phone. In the fervor to get the latest and greatest update, I lost my photos from this pairing. Liz, you say, this is why you do your updates right away and don’t wait. To that I reply, shut up you’re not my dad, you can’t tell me what to do. So, we will have to steal some photos from the net. But hey, not all is lost. They can take my pictures, but they can never take my words and taste buds. 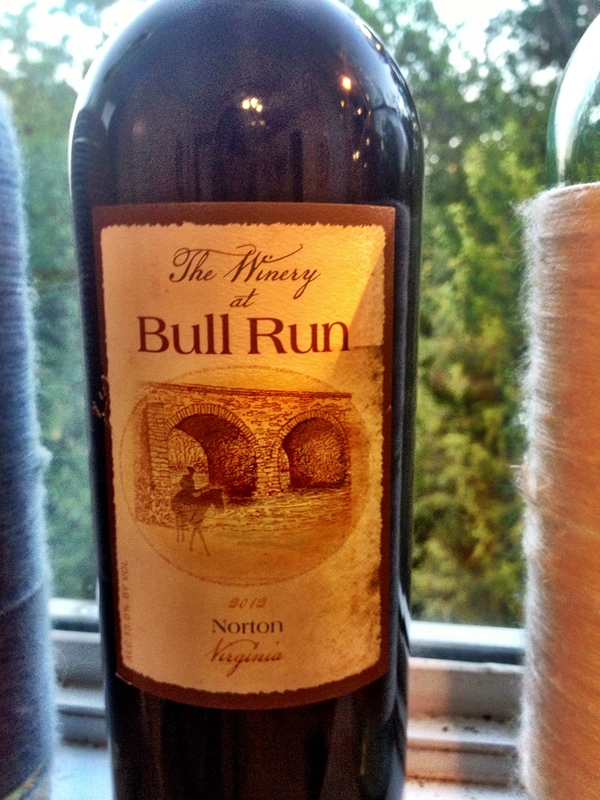 I had a taste of the Viognier at winery at Bull Run which we discussed in the winery tour post. It was light and fruity. I very much enjoyed it and thought it would pair nicely with white chocolate. I wasn’t entirely confident, but I steamed ahead anyway. I thought since the two types of sweet were different-fruity and sugary-they could potentially work together. The result of this pairing is a really good example about how taste buds work differently in different people. The wine is delightful. LIght, delicious, and fruity with a scent of tart apple and a lemony bite. The candy is also very tasty. The candy coating is fairly and it has only a hint of candy corn. The chocolate has a strong vanilla flavor. I did not like this pairing. The wine went sour after eating the M&Ms and all together the experience was way too sweet. But Sam, my boyfriend in residence, really loved this pairing and considered it a slam dunk. So I don’t know, try it and see what you think! If you can’t find Viognier, a Reisling may do the trick. Happy Tasting! We will go back to the bag o’ candy for the next pair. Posted in White Wine and tagged Candy corn, M&Ms, Viognier. Bookmark the permalink. 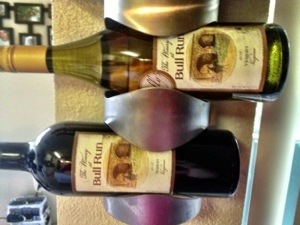 Summer is almost in our rear view folks which means a lot of fun festive pairings in our future! 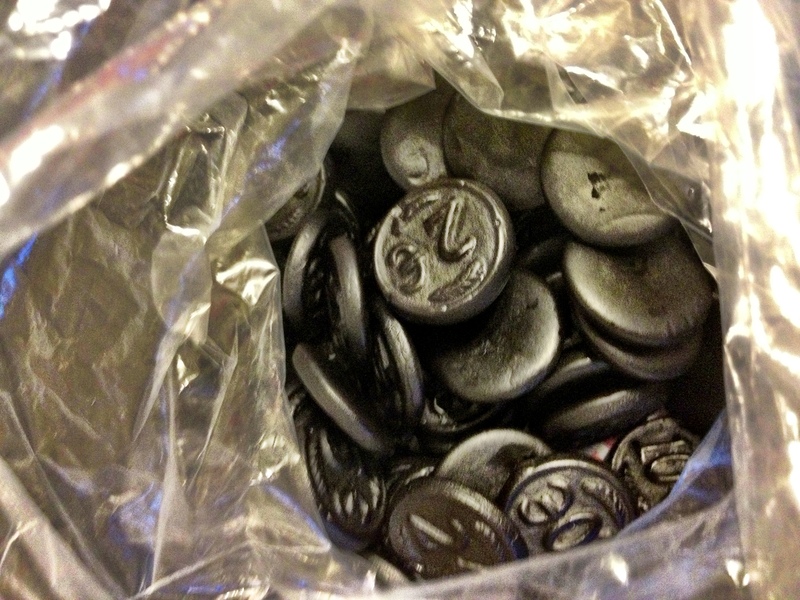 Today we visit an old favorite of mine, salty licorice. I have paired licorice before on this blog and licorice was the inspiration for Uncorked Unwrapped after a long night nursing a bottle of Malbec with licorice. So here we are, back with the ole muse and I must say, I certainly hit the mark this time. So lets crack open my first delicious find from my candy haul and dive into a delicious pair. I have paired Norton before but it didn’t go so well. But the rich and dynamic flavors demanded another pairing and I thought this licorice was just the ticket. It’s a nice balance of salty and licorice flavor. Both the Norton and the licorice are incredibly strong flavors that I imagined would mesh very well. 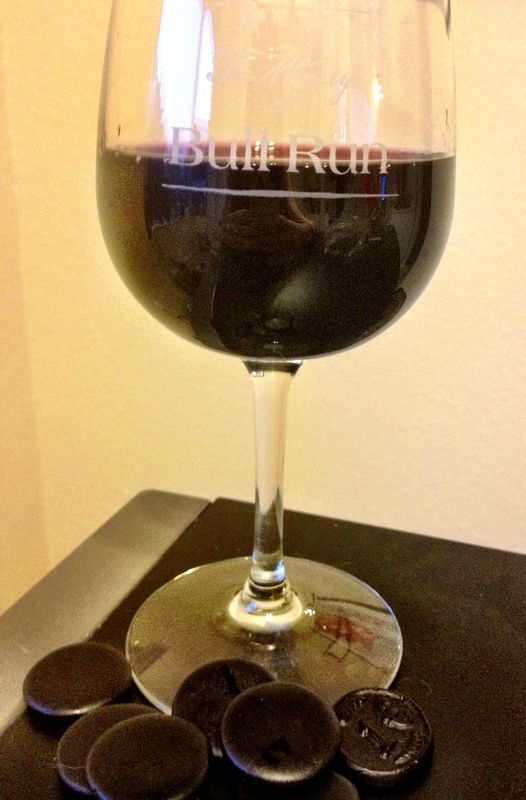 Just LOOK at the color of that wine, doesn’t it just make you swooooon? The Norton has an interesting and complicated bouquet. The wine truly smells like a vineyard with slight aromas of dirt and grapes, but not in a bad way. There’s also a hint of sharp mustard and maybe…ketchup? The texture is smooth without any bite, although the wine is tart. I love Nortons. Delicious! The licorice is on the harder side and there’s a lot of chewing involved. You get a nice build up of licorice flavor in your mouth before sipping the Norton. They combine beautifully. The wine doesn’t sour and its richness fills the mouth and mingles nicely. Perhaps it is because licorice is truly such an earthy flavor. Just lovely! What a nice way to kiss summer goodbye! We will start featuring seasonal candies soon as well as chipping away at that giant bag of candy I bought.